The Fluke 1587 Insulation Multimeters combine a digital insulation tester with a full-featured, true RMS digital multimeter in a single, compact, handheld unit, which provides maximum versatility for both troubleshooting and preventative maintenance. 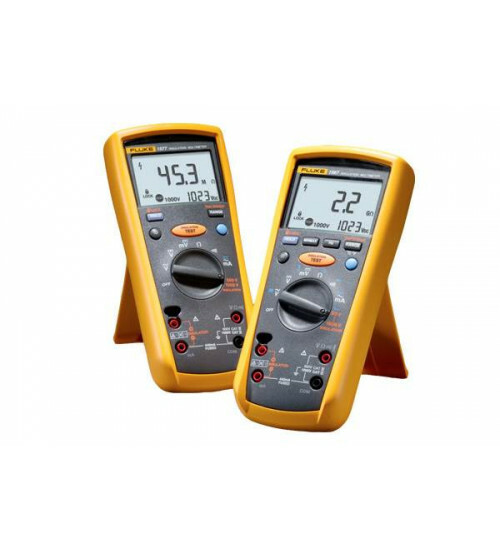 Whether you work on motors, generators, cables, or switch gear, the Fluke 1587 Insulation Multimeters are ideally suited to help you with your tasks and at a cost that is far less than buying the two products. Insulation test u6se Meter can perform at least 1000 insulation tests with fresh alkaline batteries at room temperature. These are standard tests of 1000 V into 1 MΩ with a duty cycle of 5 seconds on and 25 seconds off.